In our previous tutorial we have discussed about how we can slice photoshop PSD file to extract images that require to develop our wordpress theme. Next we will learn how we can code html for wordpress theme & attach stylesheet to build our base design for wordpress theme. if you haven’t seen previous article, I recommend you read it first and follow this one. Before you begin with coding html for wordpress theme, make sure you have a fair knowledge of HTML & CSS. If you are not sure about that please learn HTML/CSS first to understand this tutorial easily. You can find some articles about html at w3schools. First Step for coding HTML for WordPress Theme is to identify Horizontal Sections in your PSD Design like header, navigation, main content, footer, featured etc. and then identify vertical sections in each horizontal sections like in main content we have primary section & sidebar section. watch following video for coding html from PSD Design. 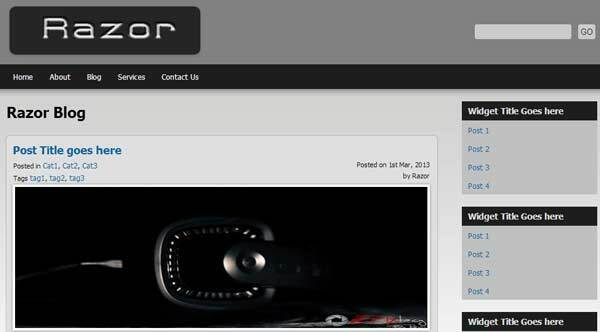 I hope you get an idea of how we can use HTML code to build base for WordPress theme. In our next step we will link HTML to cascading style sheet (css) and use images we extracted in previous tutorial from PSD file to make our way a step forward in creating our own WordPress theme. 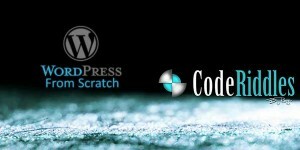 I hope you get an idea of how we can use CSS code to stylize our HTML code for WordPress theme. In our next tutorial we will use this html-css design and start creating WordPress theme for which we are doing all this work. Stay in touch with us for our next exiting article about creating wordpress theme. If this tutorial help you please hit like share it. Follow us on Facebook, Twitter for more updates.